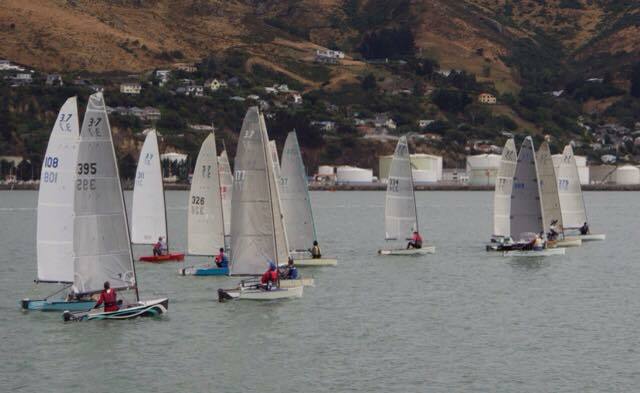 The Accredo 3.7 New Zealand Championship was held at Charteris Bay Yacht Club on Lyttelton Harbour over Waitangi weekend. The weather played its part with lovely warm days and regular winds to allow 8 of the 9 races to be completed. There was something in the weather for all sailors from light to moderate winds. Charteris Bay Yacht Club put on a fantastic event with a real focus on the social side with superb catering and evening sit down meals, making this particularly easy and social for all entrants. Sailors came from the across the country including Bay of Islands, Auckland, Hamilton, Tauranga, Wellington, Nelson, Christchurch and Dunedin. On the water the racing was very tight at the front for the top three with the result coming down to the last day. 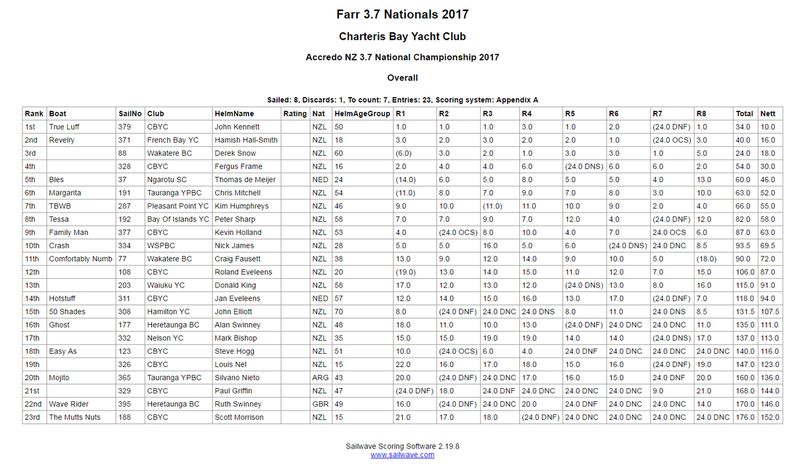 Last year’s National champion Hamish Hall-Smith (18 years old) of French Bay Club was just pipped by local Charteris Bay sailor John Kennett. John had just put a new C-tech rig on his boat before the contest and this seemed to give him a boost over the previous year in the Bay of Islands. 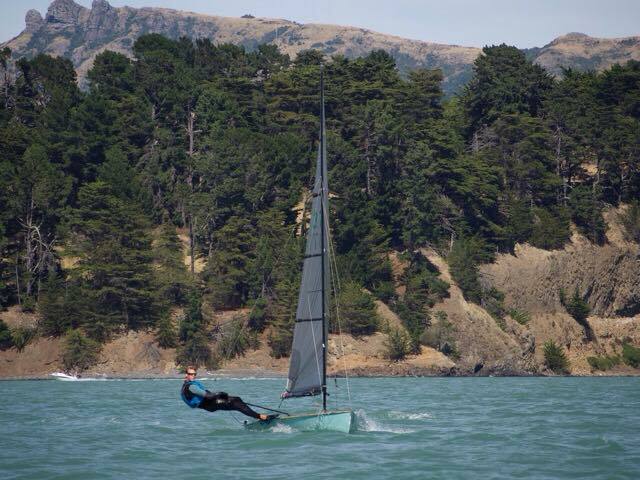 third place went to Derek Snow from Auckland club Wakatere and fourth to new to the class Charteris Bay sailor Fergus Frame (16 years old). Fergus showed some real class and will be one to watch in coming years. The highlight of the event was the young sailors coming into the class with two teenagers getting second and fourth and another 24 year old in fifth. The age spread of sailors was from 15 to 70 years old and weight ranges were from 55kg through to 85kg. This highlights the wide appeal of the boat and exciting option for sailors that have finished in junior classes and want to learn Skiff sailing skills. A new concept at this event was the trial of a Radial division where smaller sails were used by the lighter-weight sailors, this was a success and will be developed further. Charteris Bay has experienced rapid 3.7 growth and now have 12 boats with strong interest to grow this further. The 3.7 class itself is in a growth phase with plenty of demand and not enough boats, so new moulds are being organised to offer new composite boats for next season. 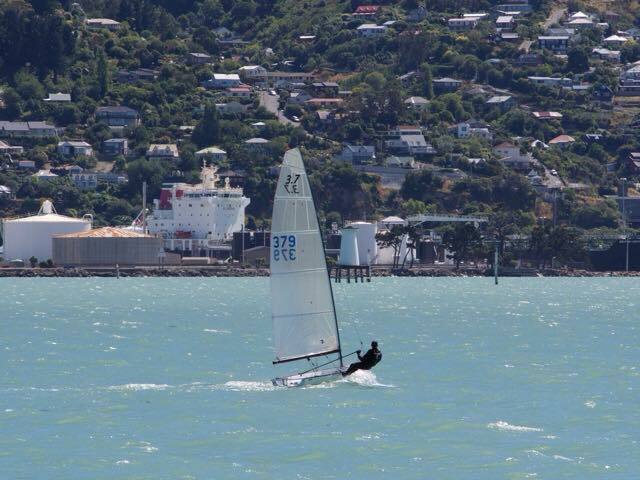 The Class is hoping to have next year’s Nationals in mid-March at Wakatere Boating Club Auckland.